Hello dear friends. Does anyone read my blog posts anymore? haha. Just checkin. Stamp of the Week – UNITY STYLE! Lovin this butterfly. I used various glimmer mist colors masked with paper. 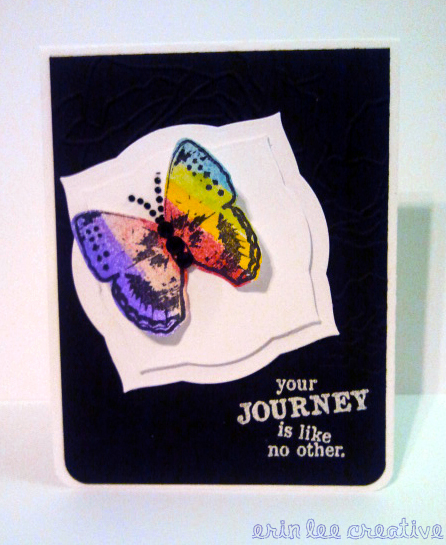 You can’t tell in the picture, but I used a Stampin Up embossing folder on the black. Spellbinders, corner rounder, embossing powder, rhinestones….voila!